The obsessions with our appearance and health have lead to Americans looking better and living longer than ever. Technological advancements are helping people become proactive towards their health. As gym memberships and diet awareness increase, Americans are looking for alternative ways to improve their health and physical appearance. We often hear the terms holistic, natural, and organic used with every sales pitch thrown our way. Plastic surgery is still a hot commodity with Americans, but what if there was a safer, less invasive alternative? Cosmetic dentistry is evolving into more than just clear braces and whiter teeth. Dentists are now looking at the overall health and the impact that oral health has on the facial appearance of their patients. Cutting edge techniques and proactive procedures can help reverse or at least slow down the aging process and perhaps avoid the ever so popular facelifts, Botox, and dermal fillers. The answer for some may be AGE-DEFYING DENTISTRY. These factors and can cause a number of problems associated with an aging look; such as wrinkles, collapsed chin, thinned lips, and a crooked smile. The goal of AGE-DEFYING DENTSITRY is to restore the mouth both from a health aspect and a structural standpoint, giving patients their smile and confidence back. A common theme in AGE-DEFYING DENTISTRY is “Opening up the Bite”. This process helps restore volume to the lips and cheeks, restore collapsed chins, and get rid of the dark shadow between the cheeks and teeth known as the “Black Triangle”. Can any dentist perform AGE-DEFYING DENTISTRY? NO! Some Cosmetic and most general dentist do not have the necessary training in Bio-Esthetics necessary to understand the intricacies of bite relationships. Make sure you do your homework when doing your search. Find out how many years experience they have in this field and ask the treating dentist for their training and qualifications. How much does AGE-DEFYING DENTISTRY cost? The cost will vary from patient to patient. The treating dentist has to determine if your teeth are decayed, if there are old crowns and filling that need to be replaced, do you have missing teeth, will you need implants? Will the process require other specialist like a Periodontist or Oral Surgeon to be involved? All of these questions can be answered during the consultation visit. Make sure to get a second and third opinion and estimate; however do not let cost be the main factor. Choosing the right dentist for your treatment should depend on experience, training, facility, and doctor bedside manner. Don’t get me wrong, cost matters but it should not be on the top of your list. Think of your AGE-DEFYING dental work like you would any other large purchase. When people buy a car or house, it’s not a spontaneous purchase, rather a process that is well planned and thought out with the understanding that there will be a financial sacrifice. 99.9% of people don’t buy a house or car in cash, they plan on making a down payment and monthly installments. The same thought process should go into having an extensive dental treatment. Most offices will have various payment options available and will do everything possible for you to afford your treatment. Through decades of training and practice in the field, Dr. Kelly has provided results that has superseded the expectations of her patients. Learn more about what she has accomplished through her story. Copyright © 2014-2019 Kelly Smile Dentistry. 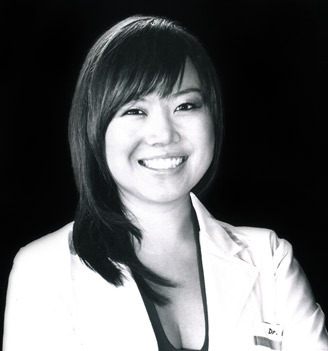 All Rights Reserved | Sitemap | Dr. Kelly Hong is a talented dentist serving patients from throughout the Apple Valley, Hesperia and Victorville areas.